This wonderful family home is practically positioned in one of Langwarrin’s most convenient pockets & is a fantastic opportunity to establish yourself within a friendly neighbourhood. Being only moments’ walk to Elisabeth Murdoc College, this property is a delight for a growing family. Beginning at the front, the parents retreat is sectioned off & provides not only the utmost in privacy, it also showcases a walk-in wardrobe & a full ensuite. You also have a spacious front lounge room wonderfully placed as a parents retreat towards the front. Providing a well-designed open style floorplan, the kitchen acts as the hub of the home & boasts plenty of cabinetry as well as S/S appliances. Flowing seamlessly on is the second living area, that is easily serviced by the kitchen & also steps out through sliding doors to outside. The properties decked outdoor entertainment area gives the perfect opportunity to hosts family gatherings or simply unwind in the summer sun. 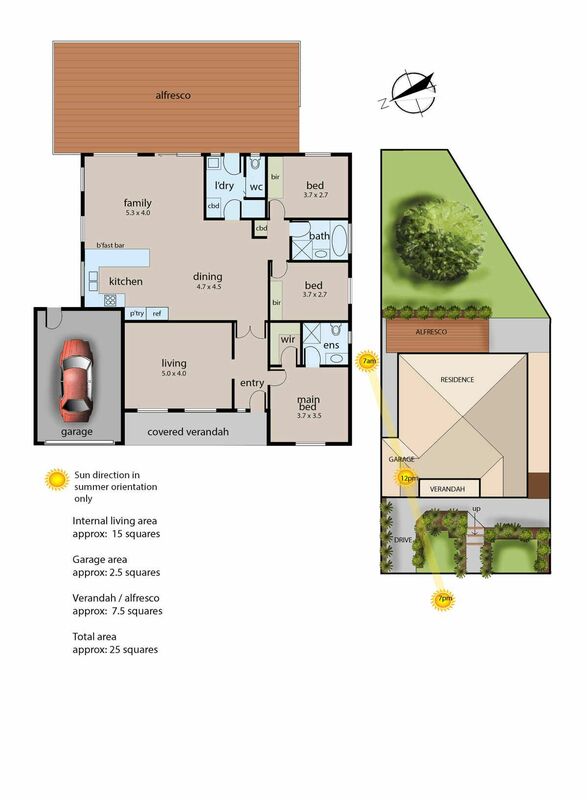 Being generous in size, this particular zone is an absolute highlight & also steps down to a family sized rear garden. Only minutes’ walk to public transport, reserves, parks, childcare facilities & Peninsula Private Hospital, this sought-after pocket is a must see for those wanting to secure excellent value.